Educating in the 21st Century: What are students saying about Edcamp? What are students saying about Edcamp? This is my third reflective post about Edcamp Delta. This time it's about the value of student voice and recognizing student input and perspectives when it comes to improving teaching and learning. 15 students from Delta Secondary, 2 students from other Lower Mainland high schools and a few recent high school graduates participated at Edcamp Delta. Although they comprised just under 15% of the participants, they had powerful voices and their contributions enriched the dialogue. Alex (@alex_gaio) led a discussion about the use of Google Apps in Education. He and a group of other Delta Secondary students also facilitated a conversation about Focus Groups and Student Engagement. Antony (@AntonyTsui) facilitated a session called Are you assessing my REAL learning? Meanwhile, Mackenzie and Gloria (@gloriakhj) shared their perspectives in a panel discussion about successes and challenges in education. 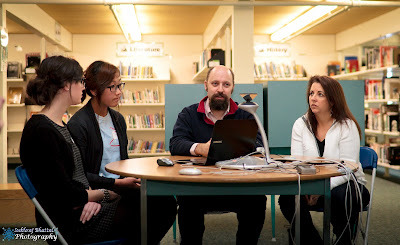 Following Edcamp Delta, I was fortunate to speak with many of the student participants about their experience. Here are some of the comments they volunteered. "The teachers listened to us. I feel like they cared about what I had to say." "The adults made sure they included us in the conversations." "We all felt like equals at Edcamp. The only time I felt like I was a student was when the adults specifically wanted to hear the perspective of a current student." "I think the teachers learned a little bit about where we're coming from as kids. I also learned about some of the pressures that teachers are facing." "At school we get taught. At Edcamp we got to participate." As I reflect on these comments, I think about how different an Edcamp is compared to a traditional classroom. In a traditional classroom, a hierarchy exists between the teacher and the student. The teacher is the 'expert' and the student is the 'learner'. The culture is such that the student is expected to learn from the teacher but not the other way around. At an Edcamp, there is no hierarchy. People aren't cast in the role of 'teacher' or 'student', 'expert' or 'learner'. The expectation is that educators can learn from students equally as much as students can learn from the educators. In most instances, students and teachers learn together at an Edcamp. The key difference at an Edcamp is that each participant approaches the event with a curiosity and desire to learn. Rather than asking students questions that the teacher already knows the answer to, at an Edcamp teachers are asking questions that they don't know all the answers to. So instead of the teacher quizzing students and dispensing information, at an Edcamp teachers are learners who seek the input, opinions and ideas of students. Imagine how different the culture and tone of a typical classroom would be if teachers were regularly posing questions that they didn't already know the answers to. Imagine if students viewed their teachers as 'learners' rather than 'experts'. Imagine if students and teachers regularly learned together. When it comes to education, adults tend to make most of the decisions for students. We do have more life experience, and yes, we have all gone through school. This cannot be ignored. But what also can't be ignored is that the world is changing and our students are living a different experience than we did. If we truly hope to prepare our students for their current reality and their lives in the future, we MUST create opportunities for student voice. 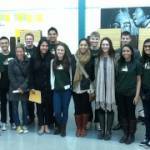 BC Student Voice, the BC Education Plan and Edcamp Delta are a great start! lols. I like how learning here appears to be perceived as a passive process.